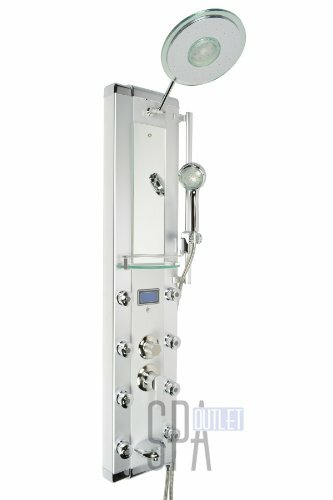 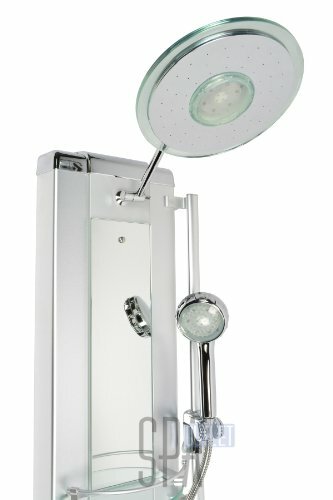 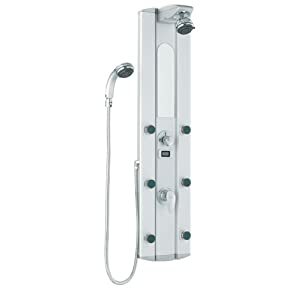 Blue Ocean 52” Aluminum SPA33D Shower Panel Tower with Rainfall Shower Head, 8 Mist Nozzles, and Tub Spout | Steam Shower - Bathroom Showers- Infrared Sauna - from SteamShowerDealer.com | SteamShowerDealer is your #1 source to buy designer and comfortable steam showers, steam spas and Infrared Saunas and accessories at discounted prices. 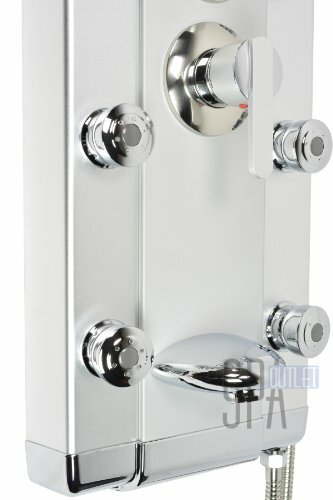 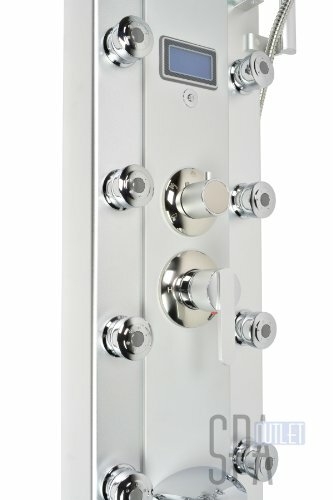 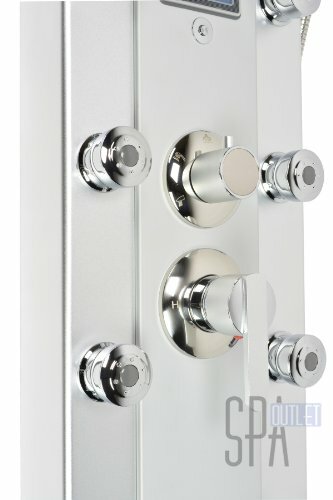 This luxury shower panel has just newly arrived in North The us. 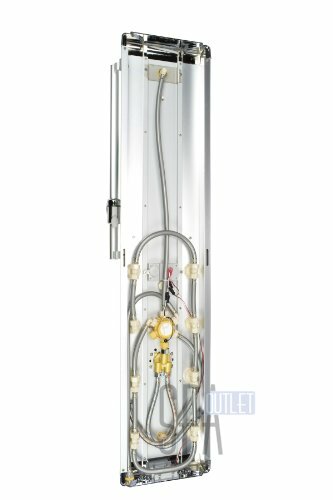 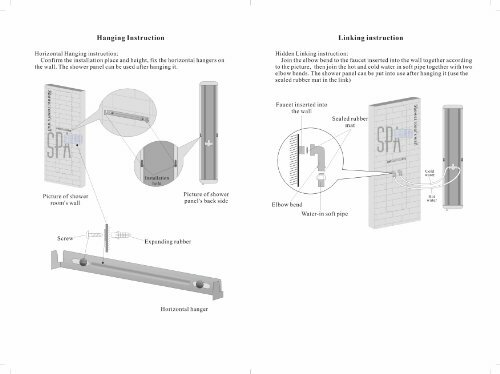 It qualifies for the ISO-9001 Usual, which will handiest be acquired by products that went through strict quality keep watch over and product inspection. 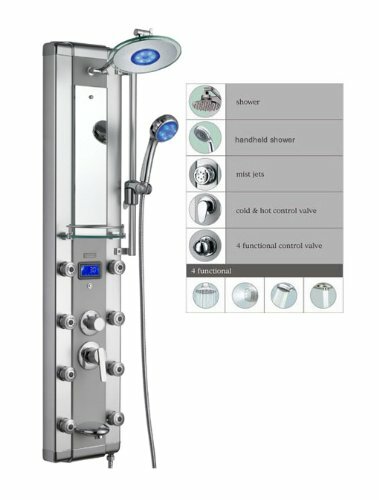 It comes with a number of functions, including a LED overhead shower, a LED hand held showerhead, 8 body massage mist nozzles, and a tub spout. 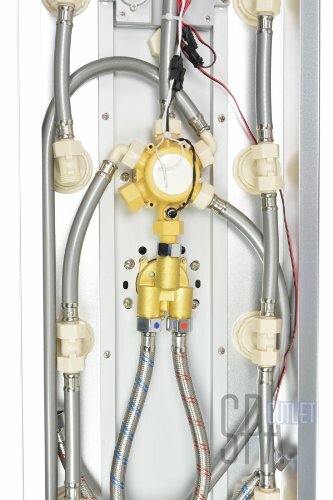 Two controllers are also added to keep watch over the functions and water temperature. 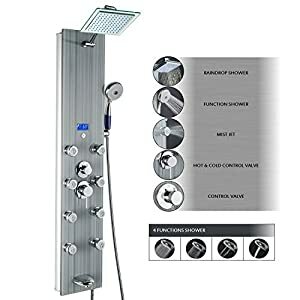 By shopping for this unique and lavishing shower panel, you possibly can have the ability to revel in a higher level of showering enjoy after on a regular basis’s hard work! 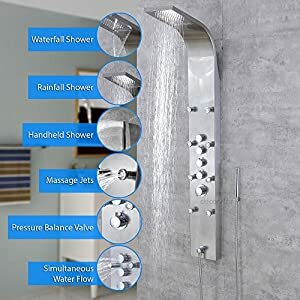 If there are any questions relating to this item or when you have any issues after purchase, please feel free to contact us and we are very happy to Lend a hand you!